The human mind is designed by God to make judgments when it is presented with sufficient evidence. A green traffic light is sufficient evidence (provided one is not colorblind) to judge the legality of proceeding through an intersection. If evidence in criminal court proceedings shows guilt beyond a reasonable doubt, a jury is bound to render a guilty verdict, that is, a judgment. Yet Christ commands us to “Judge not, that ye be not judged. For with what judgment ye judge, ye shall be judged” (Mt 7:1). The church has always seen in these words a command never to judge the heart of a man since only God can read our souls. Even though we may have sufficient evidence to judge the morality of actions (whether a particular act is objectively good or evil), we will never be able to definitively judge the soul of the person who commits the act. For that matter, we have great difficulty judging ourselves. “The heart is deceitful above all things and beyond cure. Who can understand it? ‘I the Lord search the heart and examine the mind, to reward each person according to their conduct, according to what their deeds deserve.’” (Jer 17:9-10). Sometimes we must wait for God, not only to reveal Himself to us, but to reveal us to ourselves in His grace. Self-knowledge, that is, seeing ourselves for who we are, is mysterious and dependent upon knowledge of God. In addition, today’s mass media tempts us to define and judge ourselves by our sins, or our inclination toward sins. Hence someone struggling with vice — or a habit of sin — may define himself as a “coke-head” or a “drunk” or "gay" (a politically charged word that often implies there is nothing wrong in homosexual actions). Of course we must carefully define sinful acts so that true repentance can take place. But we run a serious risk of harsh self-judgment, definitively pigeonholing ourselves in the quicksand of sinful inclinations. It is far better to identify ourselves as “children of God” who struggle with this or that sin. And when we sin, we open our hearts to repentance, lest we allow the devil to define us with unholy epitaphs. There is another aspect of the “judge not” command. Properly speaking, there is something final about “judgment.” There can be no turning back, or any allowance for reversing course. The death penalty is the clearest example of a definitive judgment this side of eternity. It is an unbending penalty. The fact of repentance is of no consequence to the hangman in the execution of his office. In the course of human relations there are very few situations calling for such a final judgment. In an act of forgiveness, some form of penalty is lifted — such as the restoration of friendship or openness to continuing human relations. 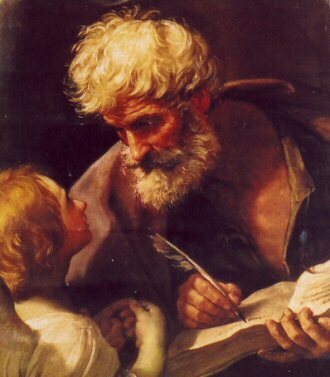 In exasperation, when Peter asked the Lord how many times should he, Peter, be expected forgive his brother, Christ responded with a command of overabundant mercy that dovetails with His “judge not” maxim: “Jesus saith to him: I say not to thee, till seven times; but till seventy times seven times” (Mt 18:22). If Jesus commands us to “judge not,” even greater is His command to forgive — in this life. This is not to suggest that any of us will escape God’s judgment including His final and definitive judgment. Such sentimentalism would be a big mistake. Every free human action has eternal consequences. The Gospel on the feast of Christ the King — the last and crowning Sunday of the liturgical year — makes this clear. "When the Son of Man comes in His glory, and all the angels with Him, He will sit upon His glorious throne, and all the nations will be assembled before Him. And He will separate them one from another, as a shepherd separates the sheep from the goats. He will place the sheep on His right and the goats on His left.” Divine judgment; definitive, with sufficient evidence; final; just. The church teaches, “Death puts an end to human life as the time open to either accepting or rejecting the divine grace manifested in Christ. The New Testament speaks of judgment primarily in its aspect of the final encounter with Christ in His second coming, but also repeatedly affirms that each will be rewarded immediately after death in accordance with his works and faith … Each man receives his eternal retribution in his immortal soul at the very moment of his death, in a particular judgment that refers his life to Christ: either entrance into the blessedness of heaven — through a purification or immediately — or immediate and everlasting damnation. At the evening of life, we shall be judged on our love” (Catechism of the Catholic Church, No. 1021-22). While we breathe, we ought to busy ourselves living a life of love, and carefully judging those thoughts, words or deeds, what we have done, or what we have failed to do that violate the love of Christ.